Hey, Hey Thank God It's Friday!!! I have actually always loved this song from the first time I heard it, but I never really knew the meaning (well my Yoruba game isn't that strong), in my mind I have always painted the song to mean God is the one that can break walls and I have always realted it to the walls of Jericho that was a stumbling block to the Israelite's. I actually sent Teeworship a mail asking him what the song means and in his words he says "Sangiri Lagiri means The Avenger and The Destroyer, The God that breaks in with storm,literally means The God that cracks and breaks the wall." Taiwo or Teeworship got this song after having his morning devotion (ooshe inspiration on fleek) so I can say this song is 100% Holy Spirit inspired. He is currently serving under the unction of a Healing and Worship Ministry as a personal worship lifestyle and attends RCCG Shiloh Parish, FCT 1 Abuja. He is a member of the RCCG PSF Worldwide and serves in the Music department. 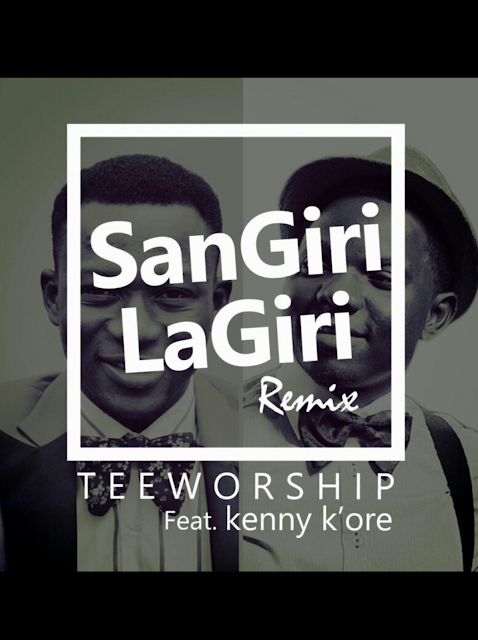 "Teeworship" has a career with a real estate and construction company, where he currently works in Abuja. Download this song, enjoy this song and have a wonderful weekend. See you on #MusingsMonday.